Hi all! Over the weekend, I was struck by Advent inspiration. As well as a desire to scour my bookcases, which was also helpful. ;-) During this time, I pulled out a bunch of books that I thought would be LOVELY for our Advent book club, and figured we could have fun with a poll! I'll describe the books in detail here, and there is a poll to vote along the right side of the blog. I also need to know if you'd like me to host the weekly posts here on the blog itself, or over in the Facebook group. Leave a comment with your vote on that one! OK, here we go? Advent with Saint Teresa of Calcutta: Daily Meditations, by Heidi Hess Saxton. In celebration of the canonization of one of the Church’s newest saints, Servant Books is proud to present this small book of meditations for the seasons of Advent and Christmas, including special feast days associated with those seasons. Mother Teresa’s life and writings, marked by a spirit of humility, simplicity and love, encourage readers to quiet their hearts as they prepare to receive the Lord. 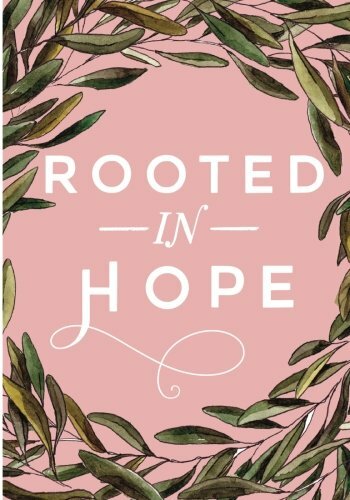 The book includes a foreword by Donna-Marie Cooper O’Boyle, whose friendship with Mother Teresa has been captured in several of her bestselling books. Here we have a devotional option. 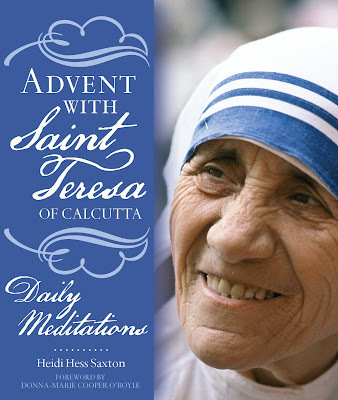 That seems like an appropriate option for Advent, and I do love that St. Teresa of Calcutta. A disadvantage, I suppose, is that this runs through the Epiphany, and we won't be blogging right around the holidays (annual hiatus for family time). BUT, if we went with the Facebook group option, this would absolutely be doable! Just something to keep in mind when you vote. Specially created for Advent 2017, this beautiful book integrates Bible study, journaling, and thoughtful planning for the season. For each day, you'll find Scripture, a devotional essay, pages for lectio divina, and space to organize your days. Clear and elegant design, hand-drawn illustrations, and lovely calligraphy make this book a treasured gift for the woman who uses it. This book was suggested by Lisa over in the Facebook group, thank you Lisa! I LOVE the thought of us all journaling together and working through Scripture! I do not own this one, but would be happy to purchase it if others are game. To me, the only disadvantage is that it does seem to be aimed at women, and we do have some men that participate. So everybody make sure to vote! 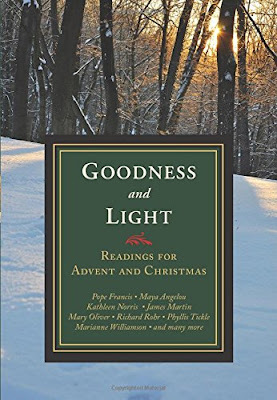 Goodness and Light: Readings for Advent and Christmas, edited by Michael Leach et al. An anthology of inspired readings from cherished writers to enrich you every day of the season. From the first day of Advent through Christmas Eve to the Epiphany, these 45 readings from beloved writers, classical and contemporary, will surprise you, touch you with love, and comfort you with peace. Authors include Harper Lee, Kathleen Norris, Frederick Buechner, Maya Angelou, Pope Francis, James Martin, and Marianne Williamson. Goodness and Light is a wonderful book for daily inspiration during the holiday season and to re-read for its beauty and wisdom on many days after. I bought this last year, and was really looking forward to reading it, but fell off the wagon early on in Advent. 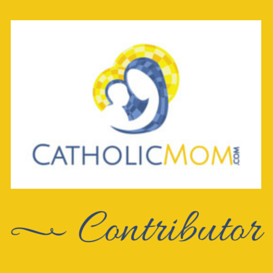 This is ecumenical in nature, including authors of many different Christian faiths. I love the look and diversity of the readings, it looks like an engaging option! Through the Church Year: Reflections for Feasts and Seasons, by Francis D. Kelly. Msgr. Francis D. Kelly draws from a wide array of spiritual guides and theologians to articulate insightful meditations on the meaning of the feasts and seasons of the liturgical year. This is not solely Advent based, but a look through all of the different aspects of the liturgical year. 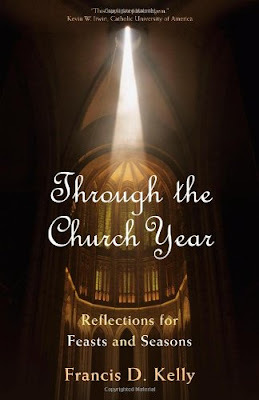 The liturgical calendar is fascinating to me, and I think this would be a great read to inspire us to stay in tune with the ebb and flow of the Church seasons throughout the year. Since Advent starts out the Church calendar, the timing is good for this one! 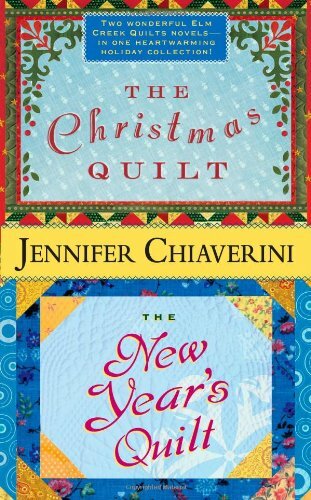 The Christmas Quilt, by Jennifer Chiaverini. When Christmas Eve comes to Elm Creek Manor, the tenor of the holiday is far from certain. Sylvia Bergstrom Compson, the Master Quilter, has her own reasons for preferring a quiet, even subdued, Christmas. Her young friend Sarah McClure, however, takes the opposite view and decides to deck the halls brightly. As she explores the trunks packed with Bergstrom family decorations that haven't been touched in more than fifty years, Sarah discovers a curious Christmas quilt. Begun in seasonal fabrics and patterns, the quilt remains unfinished. Sylvia reveals that the handiwork spans several generations and a quartet of Bergstrom quilters -- her great aunt, her mother, her sister, and herself. As she examines the array of quilt blocks each family member contributed but never completed, memories of Christmases past emerge. At Elm Creek Manor, Christmas began as a celebration of simple virtues -- joy and hope buoyed by the spirit of giving. As each successive generation of Bergstroms lived through its unique trials -- the antebellum era, the Great Depression, World War II -- tradition offered sustenance even during the most difficult times. For Sylvia, who is coping with the modern problem of family dispersed, estranged, or even forgotten, reconciliation with her personal history may prove as elusive as piecing the Christmas Quilt. Elm Creek Manor is full of secrets, from a Christmas tree with unusual properties to the sublime Bergstrom strudel recipe. Sylvia's tales at first seem to inform her family legacy but ultimately illuminate far more, from the importance of women's art to its place in commemorating our shared experience, at Christmastime and in every season. You all know me, and I cannot resist a ficton option, yes? This particular packaging of 2 books (The Christmas Quilt AND The New Year's Quilt) is actually cheaper on Amazon than the books are separately, but we don't HAVE to read them both. We *could*, but that's totally up to our discretion. We could read The Christmas Quilt and be very happy campers, and it would take us less time. I would love your thoughts both on the book AND the venue for discussion (blog vs. Facebook group). Make sure to vote also in the official poll! It's open through November 12th. I voted for two books one fiction, one more spiritual. Am game for either blog or Facebook. However, this time of year can be especially overwhelming for me so I'm not sure how much I will be able to participate. These all look like lovely options for an Advent book club! That would be my vote as well. Just seems easier that way! Hello! Really, all of the books look great to me, and I'm willing to read any of them with the group. I have a slight preference for any of the religious books over the fiction just because I'd like to push myself to do something special or different during Advent to deepen my faith. I will read fiction anyway, or any time, but may not always read a devotional or prayer book. I don't have much experience with commenting on blogs, but I think that the possibilities for organizing conversations into threads or responding to specific comments are a bit more robust in Facebook. Also, it seems that the FB group would be a bit more private (and encourage deeper conversation?) than the blog --for me at least. I'm very curious to see how the poll comes out! I agree about Facebook. As long as everyone who wants to participate is in the group over there, I say we do it there! I've been intrigued by the quilt novels for a while but haven't picked one up yet. So that's what I voted for. I'm voting for the blog. It is just more convenient for me. However, I understand everyone's arguments for Facebook and it may be a better place for the book club. If so I'll still try to participate. Excellent feedback, as always! I hadn't seen "Holy Days" before, and popped it right onto my wish list! Tea Time for Advent 2017 - episode 1!